Every woman needs to know this before your next mammogram. 1. What type of breast do you have on a 1-4 scale? Ask for your mammography report. It’s in there. If you haven’t had a mammogram, your gynecologist can let you know if you’re in the denser camp. Most women under 40 have denser breasts. That said, one third of older women do, too. In other words, don’t rule it out if you’re older, and assume you do if you’re younger. 2. The denser your breasts, the lower your chances of finding early stage cancer via the current screening method: mammograms. 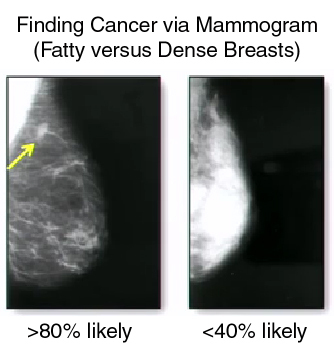 Traditional mammograms are great for catching tumors in fatty tissue, but in dense breasts, it’s much more difficult (if not impossible). And in case you didn’t know this about cancer screening: early detection is imperative. There is a 95% survival rate for early detection compared to 20% – 30% survival for stage 4 breast cancer patients. 3. Women with denser breasts now have another option: MBI. Why? 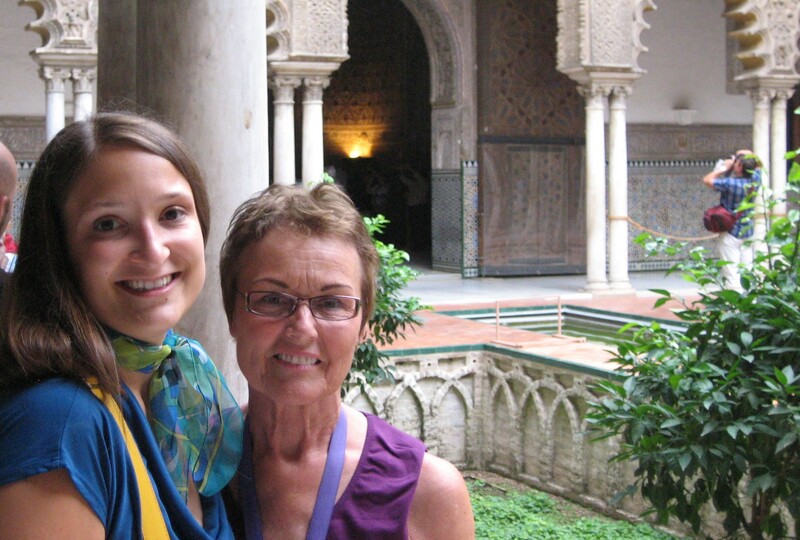 Because of Deborah Rhodes, who cared enough to really listen to her patient. Her concerns led to a serendipitous chat with a nuclear physicist, who then helped her develop a cheaper, more effective solution for women with dense breasts: Molecular Breast Imaging or MBI. This women is a hero, in my humble opinion. She’s devoting her life to this cause and not taking money for it. Skeptical? Watch this video. You will be amazed, at both her passion and the difference between the tumor pictures from traditional mammograms versus MBI. It’s not even close. Don’t have 20 minutes to watch the video? Here’s how it works: A low dose of gamma rays (yes, they’re aware of the potential danger and have minimized the risk) captures molecular behavior inside the breasts, rather than trying to take a stagnant picture through obscuring material. In a Susan G. Komen-funded study of 1000 patients, mammography spotted 25% of tumors. MBI spotted 83%! Easier to interpret the images. For those of you who followed my initial mammogram and follow-up scares last year, this is a big deal to me. I left those appointments very unsure of the results, and I promised Sue I’d do everything in my power to stand guard against this disease that took her as well as my grandmother (in her forties no less). Here’s what I’m doing—and if need be, you can, too. I can, however, get it done and pay out of pocket, which I might. If you’re interested in finding an MBI center near you, this is how I found the one near me. It lists all of the places currently offering MBI (also called Breast-Specific Gamma Imaging or BSGI) across the U.S. Living is worth asking and demanding, don’t you think? I had never heard of MBI before. Thank you for sharing this. Excellent info. My mother-in-law is a two time breast cancer survivor, so I worry for my daughters… They are 3 and 1 so I hope by the time they are old enough, there will be a cure, but thank god for the advancements in screening! I’m happy to share any news I come across. I, too, have a nearly 3 year old with a paternal grandmother inflicted with breast cancer, three times. Unfortunately, the last onslaught took her, and now the two of them will never know each other, which is still unfathomable to me. It’s my mission to be proactive about this for me, my daughter, and anyone else affected by this disease. Thank you for sharing the post and spreading the knowledge. Perhaps the more people who know about it, the more insurance companies will begin to take notice. Important info to know and share!